ISBN 9780882848853. 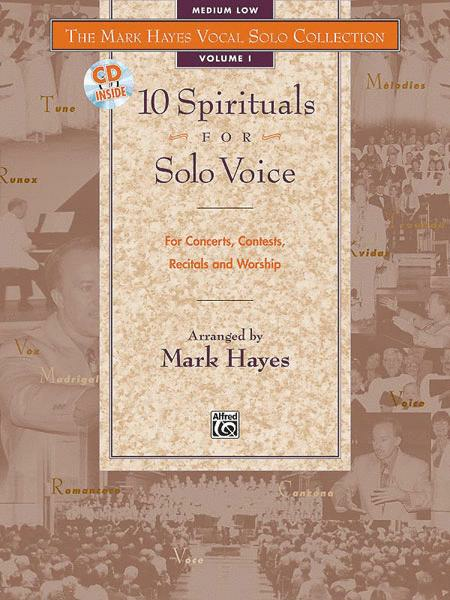 Award winning composer, arranger, pianist and recording artist Mark Hayes has crafted a superb anthology of ten traditional spirituals for vocal soloist with piano accompaniment in true art-song style, ideal for school ro church singers. Choral/Vocal (The Mark Hayes Vocal Solo Collection, 10 Hymns and Gospel Songs). Published by Alfred Publishing. By Mark Hayes. For Voice. (Medium High Voice). Vocal Collection. The Mark Hayes Vocal Solo Collection. Spiritual. Book. Published by Alfred Publishing. By Mark Hayes. For Voice. (Medium Low Voice). Vocal Collection. The Mark Hayes Vocal Solo Collection. Spiritual; play along. Book and CD. 52 pages. Published by Alfred Publishing. Arranged by Mark Hayes. For Voice. (Medium Low Voice). 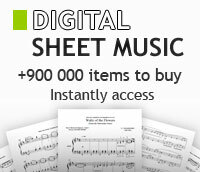 Vocal Collection. The Mark Hayes Vocal Solo Collection. Book. Published by Alfred Publishing. Arranged by Mark Hayes. For Voice. (Medium High Voice). Vocal Collection. The Mark Hayes Vocal Solo Collection. Play along. Book and CD. Published by Alfred Publishing. Arranged by Mark Hayes. For Voice. (Medium High Voice). Vocal Collection. The Mark Hayes Vocal Solo Collection. Book. 64 pages. Published by Alfred Publishing. Arranged by Mark Hayes. For Voice. (Medium Low Voice). Vocal Collection. The Mark Hayes Vocal Solo Collection. Spiritual. Book. 64 pages. Published by Alfred Publishing. Arranged by Mark Hayes. For Voice. (Medium Low Voice). Vocal Collection. The Mark Hayes Vocal Solo Collection. Play along. Book and CD. 56 pages. Published by Alfred Publishing. Arranged by Mark Hayes. For Voice. (Medium High Voice). Vocal Collection. The Mark Hayes Vocal Solo Collection. Spiritual. CD. Published by Alfred Publishing. Arranged by Mark Hayes. For Voice. (Medium High Voice). Vocal Collection. The Mark Hayes Vocal Solo Collection. Sacred; Secular. Accompaniment CD (only). Published by Alfred Publishing. Arranged by Mark Hayes. For Voice. (Medium High Voice). Vocal Collection. The Mark Hayes Vocal Solo Collection. Spiritual; play along. Book and CD. 64 pages. Published by Alfred Publishing. Arranged by Mark Hayes. For Voice. (Medium Low Voice). Vocal Collection. The Mark Hayes Vocal Solo Collection. Book. 64 pages. Published by Alfred Publishing. Arranged by Mark Hayes. For Voice. (Medium Low Voice). Vocal Collection. The Mark Hayes Vocal Solo Collection. Play along. Book and CD. 64 pages. Published by Alfred Publishing. Arranged by Mark Hayes. For Voice. (Medium High Voice). Vocal Collection. The Mark Hayes Vocal Solo Collection. Play along. Book and CD. 64 pages. Published by Alfred Publishing. For voice. Choral/Vocal (The Mark Hayes Vocal Solo Collection, 10 Christmas Songs). Published by Alfred Publishing. Arranged by Mark Hayes. For Voice. Vocal Collection. The Mark Hayes Vocal Solo Collection. CD. Published by Alfred Publishing. Arranged by Mark Hayes. For Voice. Vocal Collection. The Mark Hayes Vocal Solo Collection. Spiritual. CD. Published by Alfred Publishing. By Mark Hayes. For Voice. (Medium Low Voice). Vocal Collection. The Mark Hayes Vocal Solo Collection. Spiritual. CD. Published by Alfred Publishing.